The all-new Cadillac ELR extended range electric vehicle, or described as a hybrid by some, which is technically correct in some ways, is undoubtedly a modern marvel. 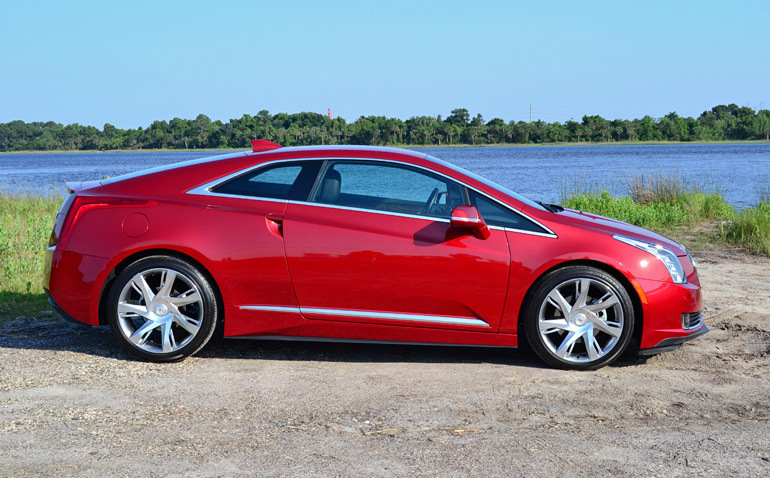 Utilizing the Chevrolet Volt’s drivetrain, the new Cadillac ELR takes on the true Cadillac luxury appeal wrapping up a highly advanced luxury sports coupe around an electric drivetrain with a 1.4-liter 4-cylinder gas engine range-extender, or generator – however you want to label the tech-savvy and economical amalgamation. 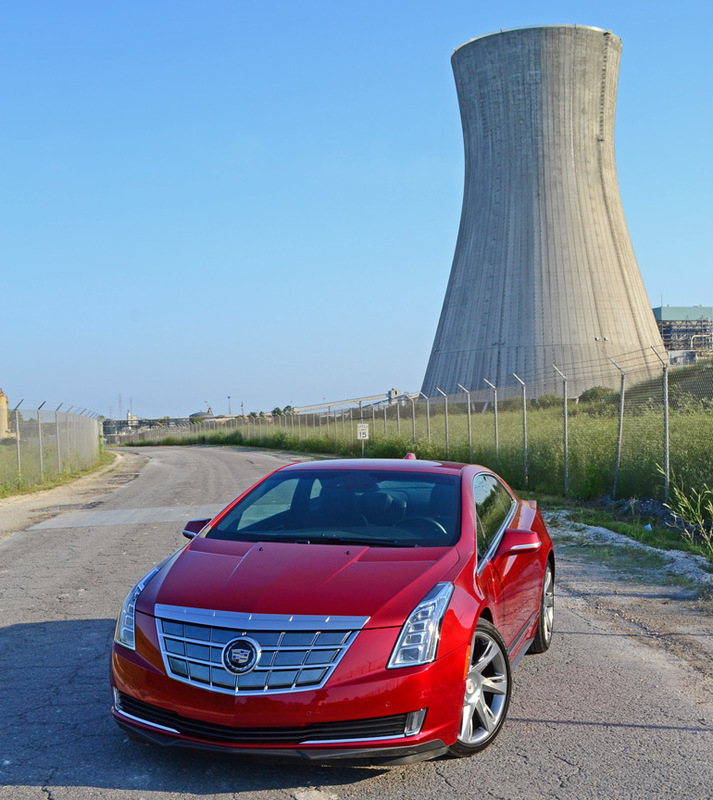 The introduction of the Cadillac ELR naturally drew high hopes and after spending a week with the electric luxury hybrid, I can walk away in knowing that it does everything as advertised but with an undeniable conscience ambiguity in its value perception. We will get to that a little later on. 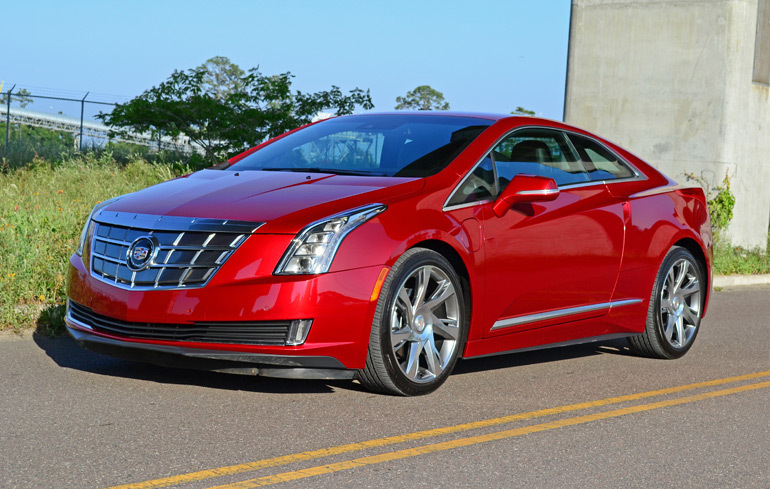 The 2014 Cadillac ELR takes the sporty luxury coupe looks of the CTS coupe and embellishes them on an outtake of plush luxury appeal. 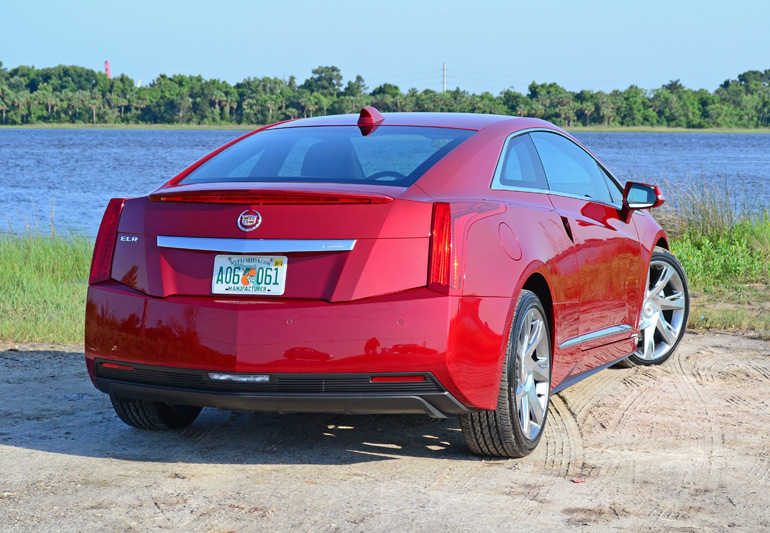 Most of the ELR, as far as distant exterior design observations go, is foreshadowed in the light of the CTS coupe, even though the two are completely different vehicles. 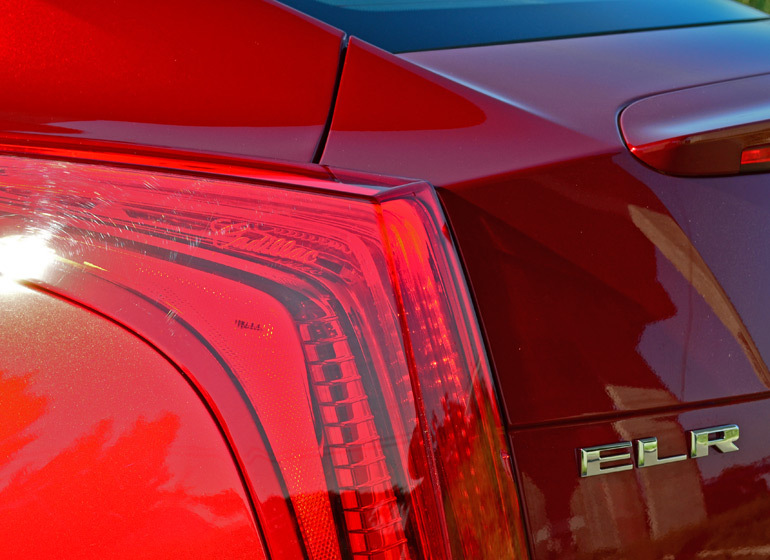 In Cadillac’s aim to provide a higher level of luxury, the ELR is successful in those endeavors with a bonus being the electric-plugin-hybrid setup. Its electric drive provides 157 horsepower (0-60 mph in 9.1 seconds) using the rechargeable t-shaped 16.5 kWh lithium-ion battery pack and about 181 horsepower (0-60 in 8.2 seconds) when temporary storage is being powered/recharged by the 86-horsepower 1.4-liter 4-cylinder range-extending engine. In demanding situations, on a temporary basis, the system is able to output as much as 217 horsepower at full throttle. 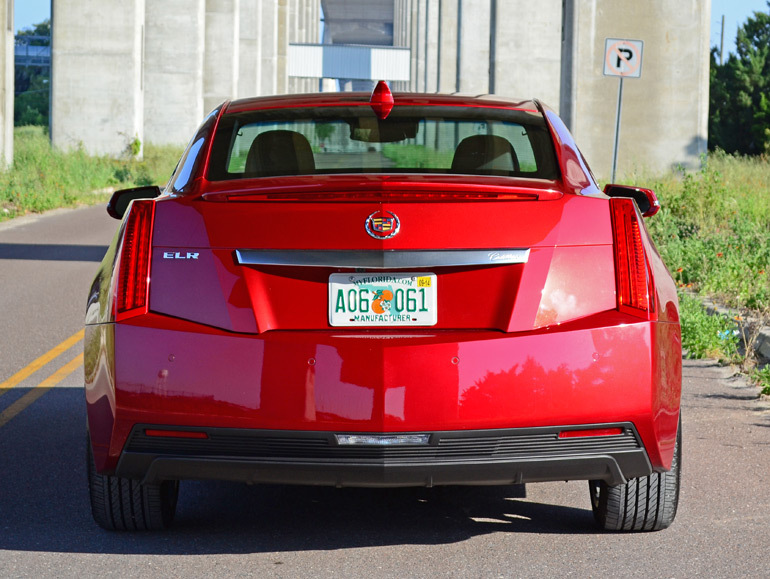 Using the Chevy Volt’s components, Cadillac was able to tweak the programming of the motor to get a bit more power, which is well deserved and expected in the Cadillac ELR. 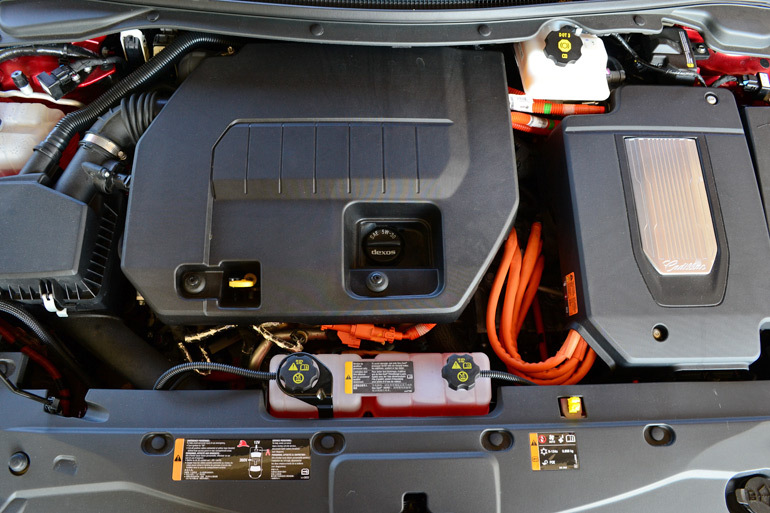 Using the Hold mode, or driving with a depleted rechargeable battery, will allow additional horsepower to flow through the electric motor (181hp). Hold Mode will essentially retain any charged energy from your home or charging station in the battery while the vehicle will only utilize the gas engine’s generated power. You can think of the horsepower output limitation using solely the rechargeable battery power as a means of providing the best range possible on 100% electric power (without the gas engine turning over). Use of the electric drivetrain is silky smooth and eerily quiet. 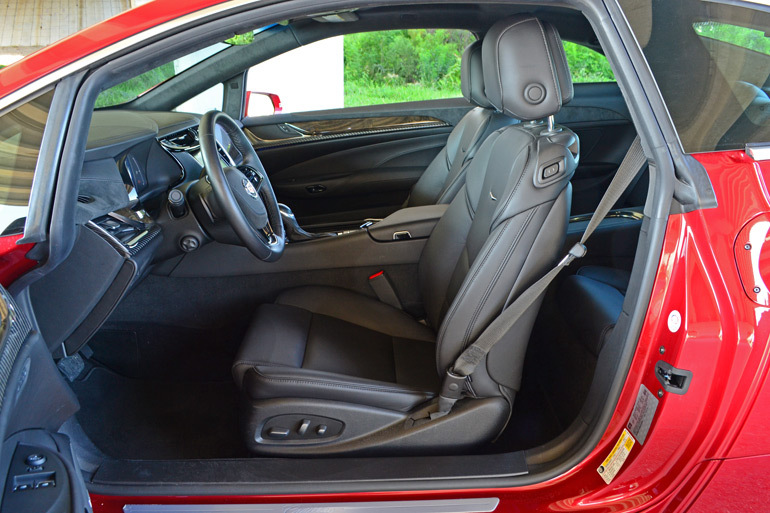 The only noise emitted into the cabin would be a combination of the climate control system’s fans, defused and subtle wind noise, and the sound of its large 20-inch low-rolling-resistance tires. The initial observation from the electric drivetrain is nothing but appeasement as it provides instantaneous torque, 295 lb-ft of it at any speed, making the ELR feel powerful and in charge. Driving on the road with the 4-cylinder gas engine churning is where things get a bit displaced in that the drone and buzz sounds start to find their way into the cabin despite the active noise cancellation. In more of an unwelcomed characteristic for a Cadillac, especially one with a starting price of $75,000, the buzz and high-revving sounds of the 4-cylinder engine is chastely displeasing. You will notice the engine’s coarseness if you ever tax the electric motor by going up a steep hill, which is where you will want to enable the Mountain mode so the engine can proactively prep the storage for additional power usage. Not to allow the pricing factor to upset my thoughts just yet, the ELR does, however, have an excellent ride with a good balance of sport and comfort. The adaptive dampers with two ride mode settings, touring and sport, both keep the ELR’s body composed, stable and compliant when pushing it a little hard through turns. 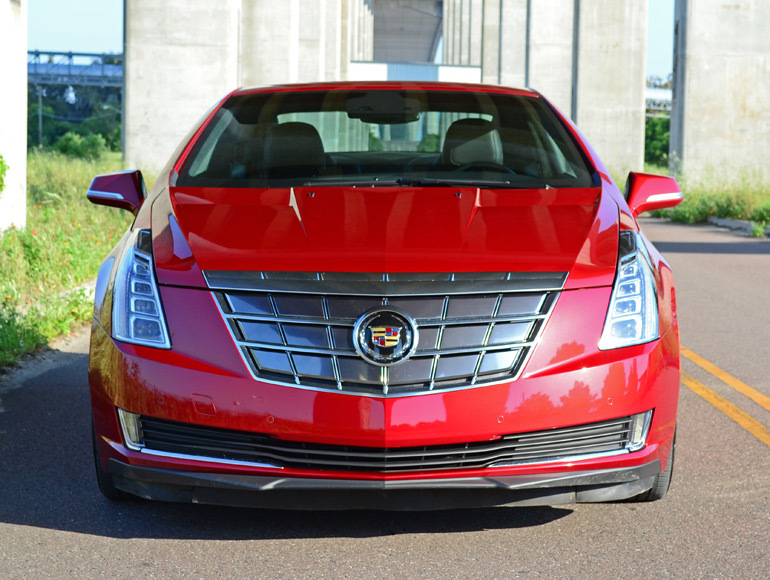 The front-wheel-drive nature of the ELR does push the front end out a bit with understeer, but the quick, almost instantaneous, capture of traction control and stability control keep things in line and point the electrified Caddy where you want it to go. 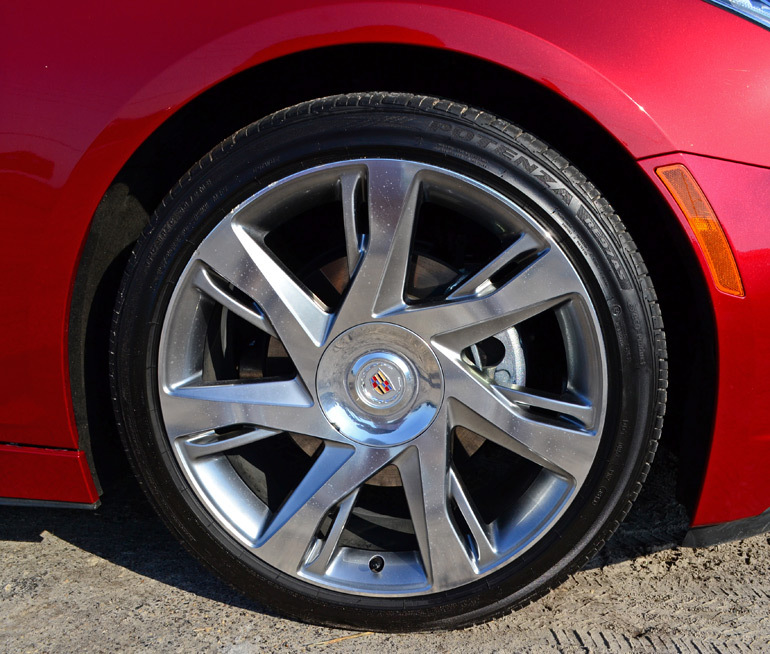 Additionally, the large 20-inch wheels and tires do their job of providing just enough grip to counteract spirited driving where the front wheels will want to lose their placement on hard turn-ins. 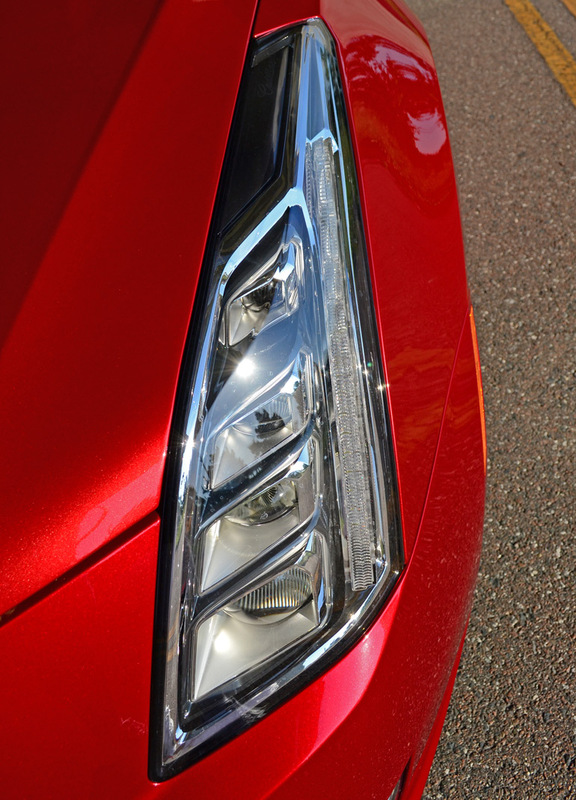 Lighting the streets ahead of the ELR are its multi-lens LED headlights and unique running LED lights vertically running down the headlamp housings much like the visual cues of the Cadillac Ciel concept vehicle. As far as serving its purpose-built duties up in nicely digestive pieces, the ELR is a master chef. Its electric drivetrain working all on the generated and temporarily stored power of its 4-cylinder engine will turn out about 31 mpg city and 35 mpg highway. The electric mpg equivalent EPA figure comes to an average of 83 MPGe, when factoring in a full charge and use of the range-extending tank of gas. These numbers are easily attainable and you will notice drastic improvements by consciously driving conservative. I saw these figures fluctuate in some situations of running the air conditioner in its maximum mode, as opposed to the ECO or MIN modes to conserve energy. Together, with driving just above interstate speeds, seemed to be an additional drag on the generated power to put back in the temporary battery storage, as did hard accelerations and maintaining those interstate speeds. Cruising the highway slightly above 70 mph I found that 36 mpg was the average, toting around 3 adults with the A/C running against our 95 degree sunny and humid Florida weather. To the ELR’s credit, it does a good job to always provide enough power in reserves to accelerate for overtaking vehicles even at highway speeds. 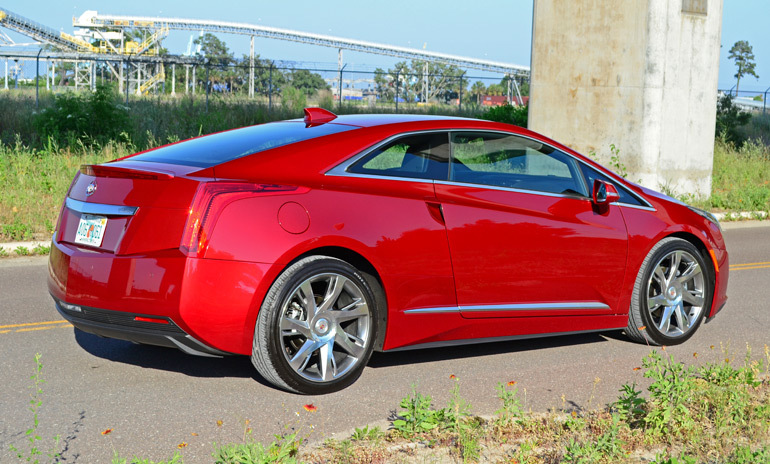 Never was the ELR a slouch or faltered in its ability to provide ample acceleration. Though, at the cost of accelerating hard – the gas engine had to play catch up by it revving to higher rpms, sometimes emitting an unsettling vibration through the gas and brake pedals. The active front grill shutters come to the aid by closing at cruising speeds to for better aerodynamics. The shutters open back up at low speeds for better cooling. Together, the highly advanced electric drivetrain can return amazing consumption numbers when you tie in a charge to potentially travel 40 miles or more without using a drop of gas. Just like the Cadillac ELR’s not-so-distant family member, the Chevy Volt, you could refrain from visiting the local gas station altogether if you are in the conscious mood to charge the ELR through either a 120-volt home outlet or via a 240-volt installed charging station. Either method is capable of providing a fully charged battery to yield an electric range of about 37 miles. Surprisingly, I beat the 37 mile range on 3 occasions, all after taking around 13-15 hours to fully charge the mostly-depleted battery using the standard charger through my garage’s 120-volt outlet. My first attempt I was able to get 39 miles off of a full charge and the second time 44 miles, and last attempt almost 38 miles. I can say that during the second attempt I purposely took it easy on accelerating and placed the climate control into ECO mode. Additionally, I took use of the steering-wheel-mounted paddles to regenerate energy at a maximum rate during braking. I have to say, the paddles were first a mystery to me, provided that the electric drivetrain does not have a transmission to shift per-se, only one single gear. Basically, holding down either steering wheel paddle engages “Regen on Demand” to recapture energy when slowing down. Also, the system acts much like a low-gear in the case you are going down a decline – it is a win-win considering you will recapture some energy and slow the vehicle down while potentially extending your electric range. Use of the regen system will also fire the brake lights when it reaches a certain level of deceleration. Regrettably, the electric range for the price of the ELR falls well short of its direct electric competition, and that really hurts. 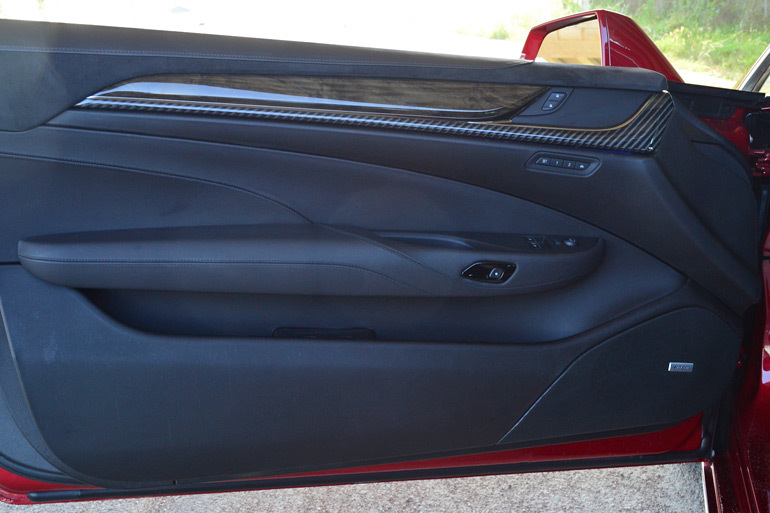 The interior of the Cadillac ELR is on par for its price point. 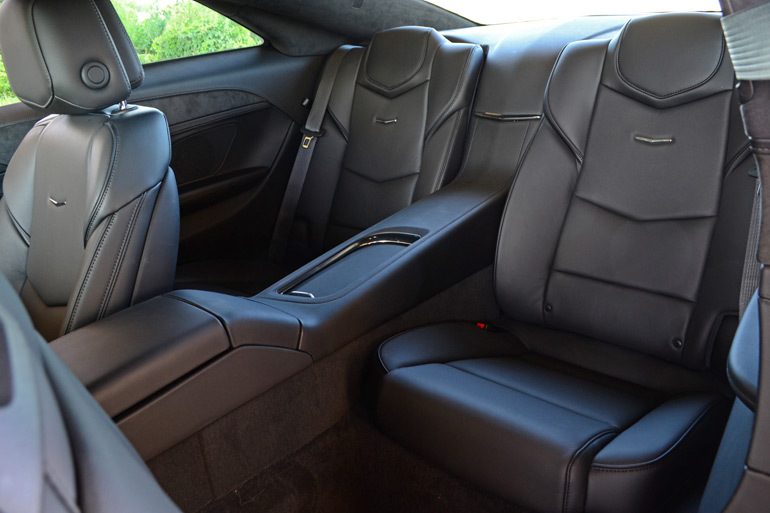 Luxury is tastefully laced around the whole cabin of the ELR, featuring its micro-fiber Alcantara-like headliner, real wood and brushed metal trim pieces, hand-stitched leather throughout, and a clever use of piano-black-finished plastics. Other nice touches include the Alcantara trim around part of the steering wheel horn/insert, dashboard outlines, and even along the door trim. 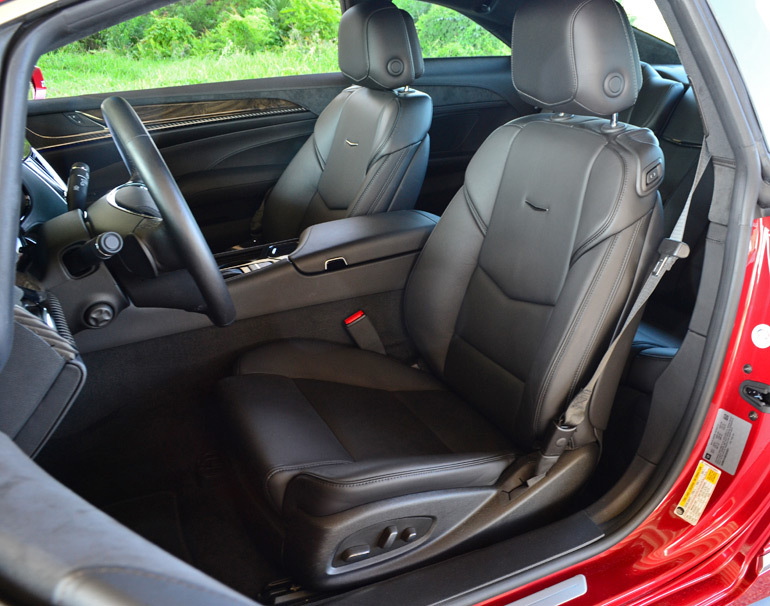 Generous legroom up front and comfortable 10-way power adjustable front heated leather seats are also added benefits to the luxurious accommodations of the ELR. Rear seating is just enough space for two small to normal-sized adults, but I wouldn’t push it any farther than someone over 5ft 10-inches tall. 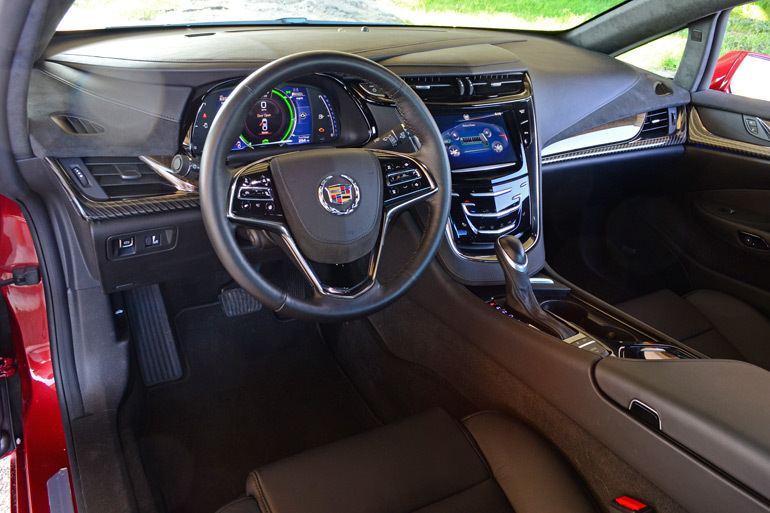 Dashboard controls and the CUE (Cadillac User Experience) infotainment system are all taken directly from other new Cadillac vehicles. Nothing really changes here with the exception of added displays and controls for the electric drivetrain and charging settings. 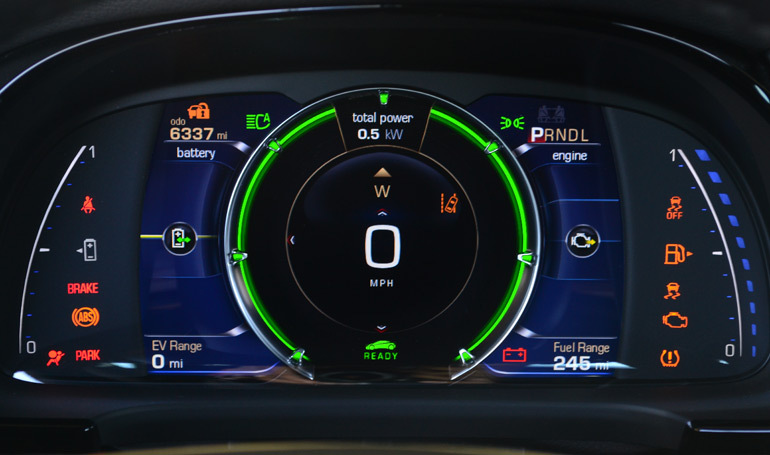 Moreover, the driver’s instrument gauge cluster provides an onslaught of active information for the electric drive with different configurations. Probably more of the frustrating parts of the ELR remain to be the CUE system. Nevertheless, CUE can be tolerated in small doses, provided you have a nice microfiber cloth to continually wipe the fingerprints collected all over its glossy screen and don’t mind the plethora of haptic-feedback capacitive buttons. Finishing off the luxury and eco-minded part of the ELR’s interior is its soft LED lighting throughout. Getting down to the bottom of things, which cannot be helped and could be part of the looming departure of the ELR’s over-all appeal, is its price. 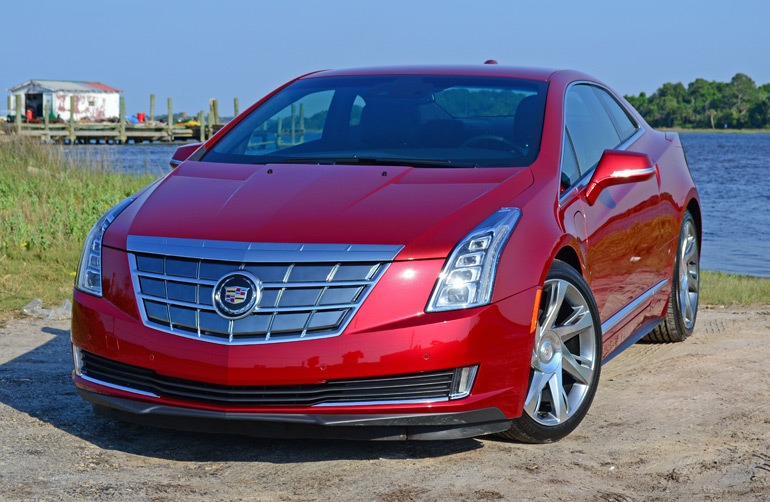 The starting MSRP of the new 2014 Cadillac ELR is $75,995. Of course, that price is before the $7,500 federal tax credit, which would still beg consumers to question the ELR’s position, even when pitted against its competition. Tipping the price scale of my loaded-up test vehicle (including the options of full-speed range adaptive cruise control w/collision preparation and intelligent brake assist, Luxury Package w/ 20-inch ultra-bright machined aluminum wheels, auto-high-beam headlights, rear cross traffic alert, side blind zone alert and crystal red tintcoat paint) brings us to a swaying $80,680. Still, the Cadillac ELR is much more than the Volt, in the fortunate luxury appetite way – but the unfortunate premium you pay is twice the price of a Volt, and that is rather outrageous if you ask me. 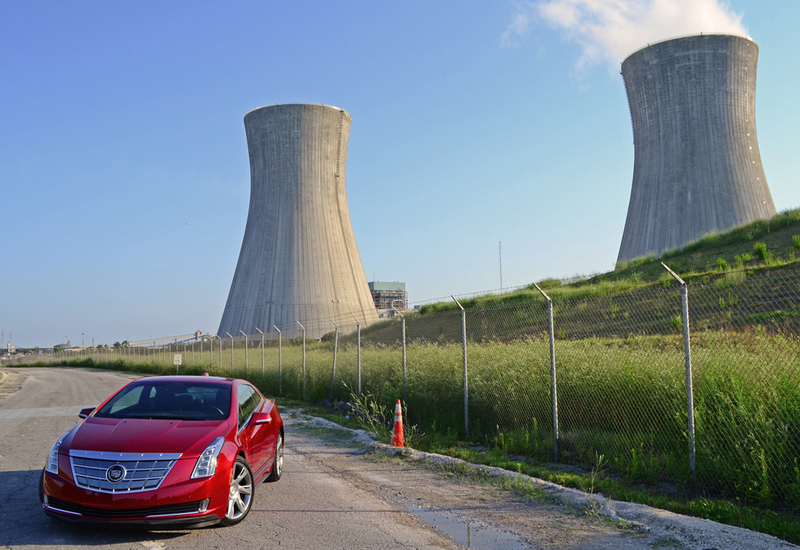 In reality, the new ELR is a compelling buy for the luxury appetite and those with a thirst for advanced automotive tech, but remains to be a mind-boggling feat for the budget conscience, or anyone with a normal heart beat that punches a time card each day. It is possible we will see a time when the ELR becomes desirable for a larger demographic – a time when money is no object for potential buyers who want to pity GM’s latest attempt to impress the eco-friendly minded. For now, the Cadillac ELR may be advantageous for those fortunate of having the means to plop down $75K or more on GM’s mismatched attempt to run down Tesla. For those that do take a bite off of what the ELR is offering, it will surely take a while to digest the abounding meal with a funny taste. 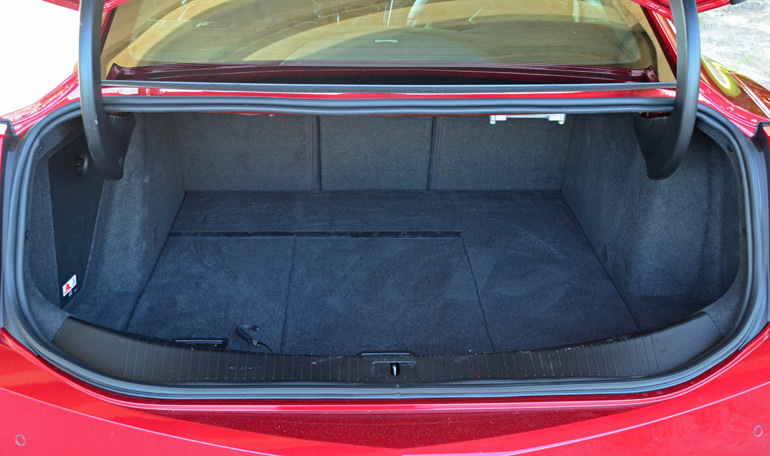 EPA trunk volume: 10.5 cu.ft.